This is my recent artwork. 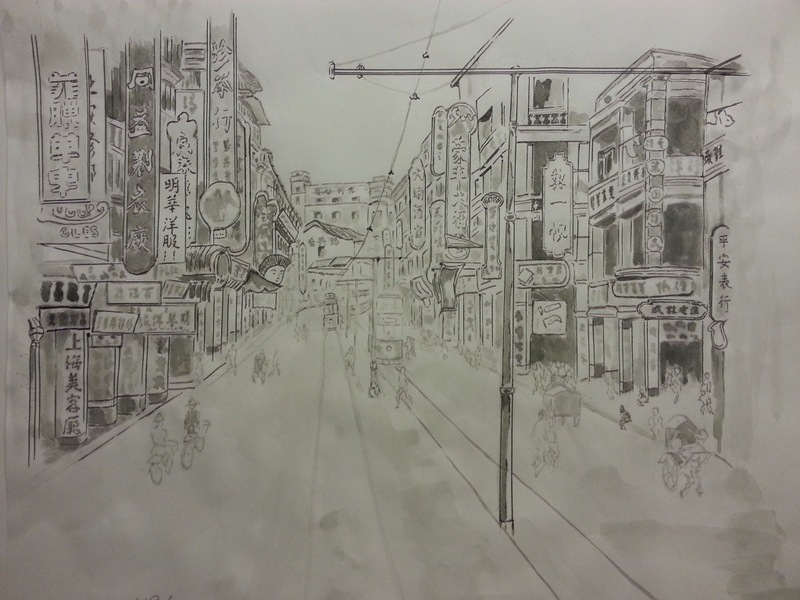 An ink drawing inspired from a postcard I bought in my last trip to Hong Kong. 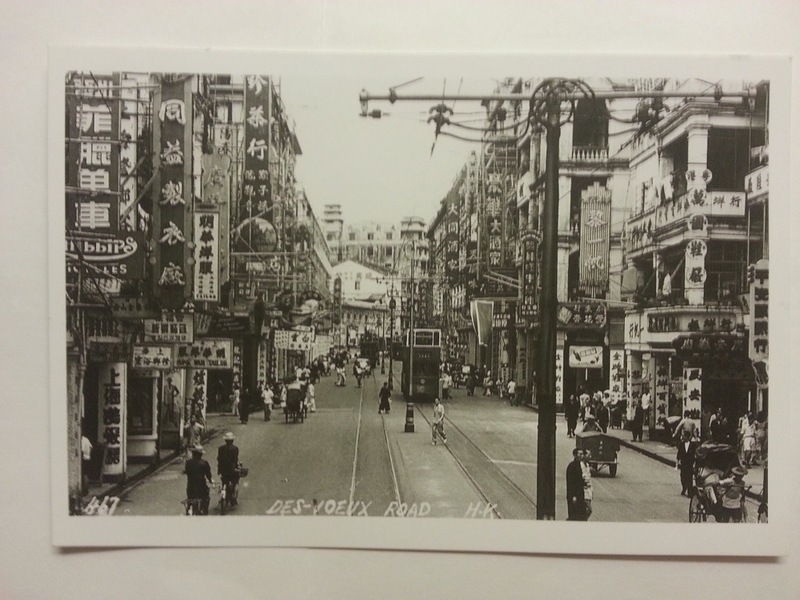 The postcard illustrates the scene of Des Voeux Road Central in Hong Kong. Des Voeux Road Central locates at a busy commercial district on Hong Kong Island with bank headquarters, designer shops, luxurious shopping centers, etc. http://en.wikipedia.org/wiki/Des_Voeux_Road Look! The numerious commercial signs along the street on the postcard tell us that Hong Kong was already very busy in the late 1940s.